Yes, I want to host a #25in25 event! Community support is vital to serving and supporting LGBTQIA+ youth! 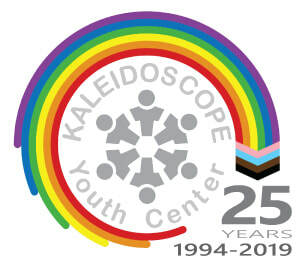 We are so grateful to everyone who donates and fundraises on behalf of Kaleidoscope Youth Center! In honor of our 25th anniversary in 2019, our goal is to recruit 25 folks to host 25 different fundraising events around Central Ohio! It can be anything from a bake sale to a charity concert to selling homemade goods! The choice is yours! If you're interested in being a #25in25 Community Fundraiser, fill out the below form and we will be in contact with you shortly. After you filled out the form, you'll be sent to a confirmation page where you can download our starter kit that will have everything you need to put your ideas into action!